Well, in terms of sales performance. It's not like they revived the Wagoneer or anything. Chrysler sold 731,565 Jeeps last year, up 4% from 701,626 sold in 2012. In fact, 2013 was the fourth consecutive year of sales increases for Jeep both domestically and abroad. So despite how you feel about the snake-faced Cherokee or the fact that a 2WD Jeep exists, they must be doing something right. Grand Cherokee was the hottest seller stateside, with 174,275 domestic sales and 255,005 sold globally. Second was the Wrangler, of which 155,502 were sold in America and 210,715 globally. 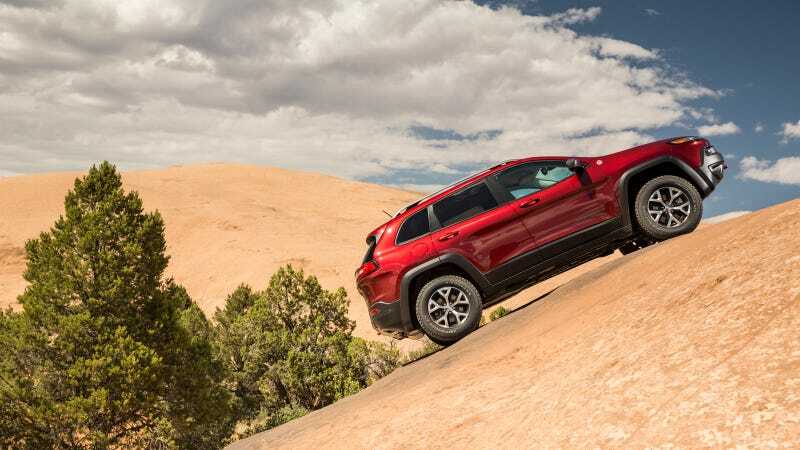 Behind them were the baby Jeeps: Compass (121,626 global; 52,993 U.S.), Patriot (103,577 global; 75,797 U.S.) and Cherokee (31,330 global; 25,786 U.S.). Compass, Patriot and Wrangler had their best years ever in any market. The JK Wrangler remains one of the last bastions of truly capable off-roaders you can buy new, let's hope that remains true for the upcoming redesign.